Mt. Juliet church uses “Inspiration and Authority of the Scriptures” by Jimmy Jividen for all adult Bible classes. Home » Blog » News » Mt. 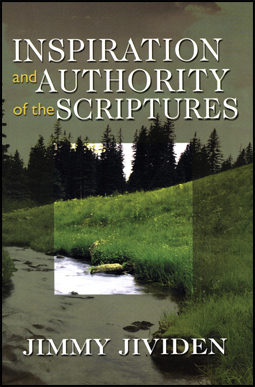 Juliet church uses “Inspiration and Authority of the Scriptures” by Jimmy Jividen for all adult Bible classes. Mt. Juliet church uses Inspiration and Authority of the Scriptures by Jimmy Jividen for all adult Bible classes. Recently the Mt. Juliet congregation in Mt. Juliet, Tenn. purchased 690 copies of Jimmy Jividen’s book Inspiration and Authority of the Scriptures for a congregational study. According to Tim Martin, their education minister, all 12 of their Sunday morning adult classes are studying this book. One of the elders participates in each class. David Shannon, the preacher, often makes references from the pulpit to the study as an encouragement and a reminder that it is underway. Several years ago, they studied Family of God: A Study of the New Testament Church by Batsell Barrett Baxter. Gospel Advocate has many other books that would make an excellent church-wide study. Visit our Online Store for the complete selection of bible class study books available from Gospel Advocate Publishers.